Now as I have mentioned before I love my window in my kitchen. Since I spend so much time doing dishes it’s nice to be able to look at the yard or watch the kids while getting things done. Plus natural light is so uplifting, and even on a gloomy Washington day, it can brighten up a room! Gather Up Your Supplies-> Now when I am deep cleaning I like to get out a couple extra tools. I have mini bind cleaner and a track brush cleaner I love that I found on Amazon. Add in some elbow grease with a good window cleaner the project isn’t that bad. Curtains- I always seem to forget these when it comes time to clean house. When I deep clean the windows I use this as a time to wash the curtains. The can get so dusty plus they seem to attract the dog hair quite a bit too! 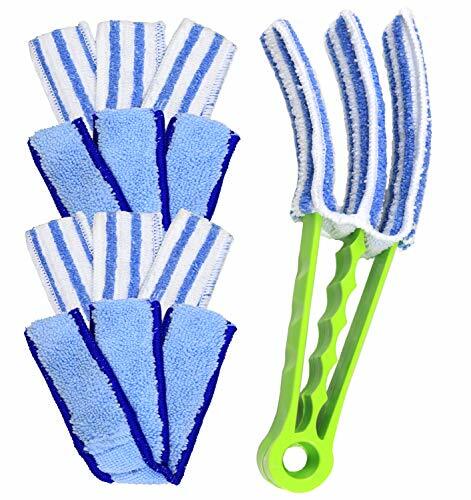 Blinds-> This is where this blind cleaner (on Amazon-> here) is a lifesaver! I only have one blind in this rental but it is in the kitchen so it seems to catch a done of the grease and floaties! I love how easy this is to do each panel of the mini blind!! Wipe Down The Windowsill And Frame -> I just get a wet paper towel for this part but, you can use cleaner. Our house is a rental so the paint, for some reason, on the windowsills, comes off really easily. So, water is how I clean mine in this house. I do the same with our window frame as well. The Windows Track-> Once I get to the bottom of the blinds, or before I start the window, I pick out any debris in the window tracks. 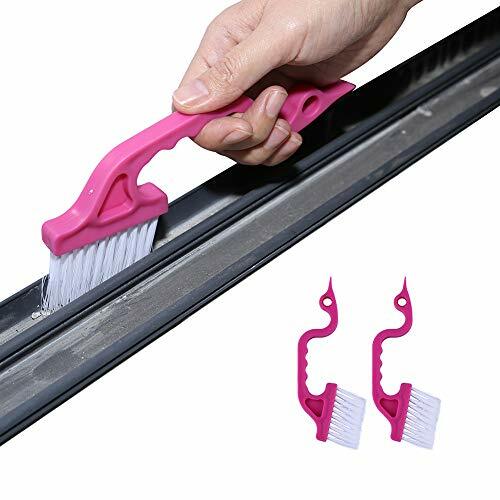 Now, before I used to use a toothbrush, this track cleaner (On Amazon -> here) is a total game changer!! Now the window track below is my sliding door, it gets hairballs from us girls and the dog…. completely gross. But the brush handled the track like a champ! Now I was worried about the brush being a one time use, which woudl have still be worth it to me. But it hosed right off! Worked out perfect for me! Clean The Window Itself-> Now, for the fun part, cleaning the glass. A little bit of Elbow grease and getting Isabella to help we had clean windows in no time!! How often do you deep clean your windows? ?